I'm asking for a reliable/simple/cheap circuit for the VBAT section of a STM32 design, powered at VDD=3.3V, that will safeguard the built-in RTC (based on 32768 Hz Xtall) for like 10 days. brings the supercap to near full charge soon enough after VDD is applied (perhaps 80% after 50 s), so that testing leaves a decent reserve. Any criticism? Suggestion on the diode (perhaps a Schottky would be better) or other component? Alternative? 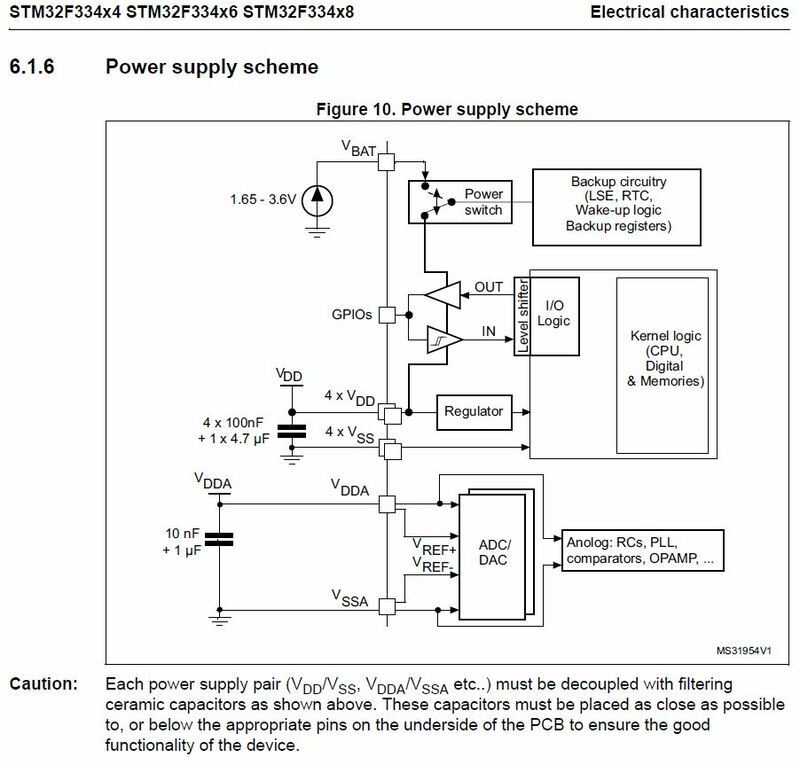 I find the circuit proposed in the picture perfectly fine. 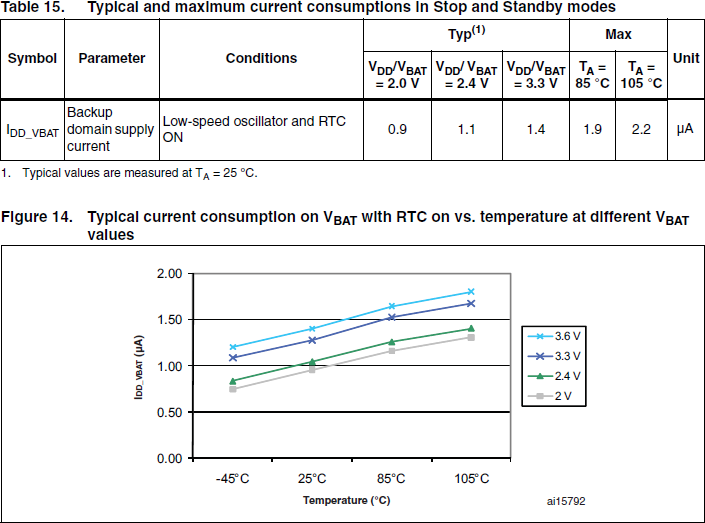 Your worry about VBAT being lower than VCC is mostly mitigated by your diode right across those two rails. The power-on delay introduced by this diode would be so minuscule, that it is not worth considering. Also, frying the supercap mostly depends on a particular type. Some of these have rather low allowed currents. This is mainly due to their high ESR. During current flow, this causes heating and damages the part. Some types don't have their maximum currents explicitly stated. In such case you need to rely on the ESR value and a wattage the package can reasonably deal with (sometimes also given in datasheets). In the end, you adjust your \$R_1\$ to be a compromise between charging time and charging current. \$22\Omega\$ sounds good for starters. Keep in mind that you will almost never discharge to 0 volts. Also, charging current in this case drops exponentially, so you will only draw \$100\tilde- 200 mA\$ for a few seconds. I've put together a circuit very similar to this in the past and I think, based on that, you'll be just fine with something like this, especially if it's not a critical application. A couple of considerations: Check out your specific supercap to see how best to charge it. You'll want to avoid charging to too quickly if it has a high ESR. Also, certain types of supercaps hold more charge if you charge them slowly (I'm thinking of Panasonic's "Gold" electric double layer supercaps). Although you'll be losing more as you discharge your capacitor, these two considerations could mean it's worth increasing the value of R1. For maximum lifetime you'll have to balance these factors. Also, I think a Schottky is a great idea if you're looking to get a little more charge out of your cap. The one thing I'd look out for there is that Schottky's can have horrendous reverse leakage current at high temperatures, so if this would be in an environment that gets toasty you could lose a lot of battery life. Not the answer you're looking for? Browse other questions tagged stm32 charger supercapacitor or ask your own question. 500F supercap charging causes circuit undervoltage (pre-charge)?